Invest in a defining design for this brand and discover our sophisticated range of men's Hackett polo shirts. The iconic polo has been an adored piece for many years thanks to its sporty influenced demeanour that effortlessly fuses with a sartorial vibe. Hackett know all too well about the careful craftsmanship and the design consideration that goes into each classic number, ensuring that each and every stitch is of the highest quality in a flattering cut. 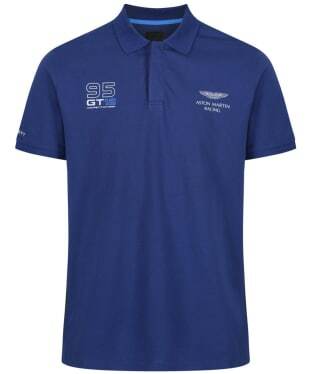 Fiercely proud of their team sponsorship, Hackett have invested in statement polos that reference their involvement in iconic names...discover the Aston Martin Racing collaboration for a piece that will truly stand out. With pops of the brightest colours and the classic touches - from the sartorial collar to the button placket neck - all of these styles represent a rich tapestry of heritage and knowledge of dressing the modern gentleman. Explore the range as part of our men's polo collection. 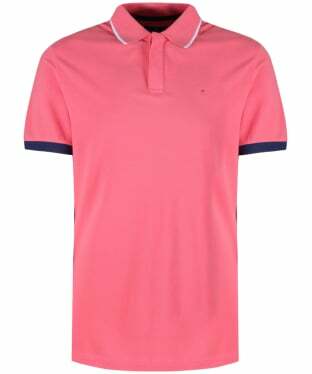 This sports-inspired Hackett Contrast Cuff Polo Shirt is great for completing your preppy summer look! The 100% cotton construction ensures you will be cool and comfortable in the summer months, and means it will wash and wear beautifully. The bold colour palette is great for making a statement, while the contrast cuffs and collar tipping adds that touch of Hackett stylish that you are sure to love. Great for casual days when you still want to project a premium look, the Hackett Coloured Panel Polo Shirt is a fantastic option. Cut from a blend of cotton and elastane for a comfortable and cool fir that flatters all shapes and sizes. With a traditional button down placket and spread collar, the Panel Polo Shirt has been given a stylish upgrade, with contrast panels to the back of the shirt. In true Hackett style, this polo shirt features bold branding and a classic fit. The Men's Hackett Marl Piped Polo Shirt is ideal for those off-duty days, teamed with jeans or chinos to complete your casual look with stylish ease. 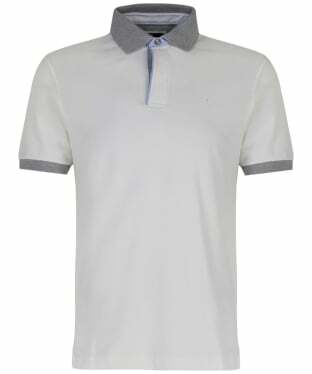 This stylish polo has been crafted from a blend of cotton and elastane for an added touch of comfort and wearability, tailored to a slim fit to give you a flatter finish you are sure to love! The contrasting grey marl to the cuffs, collar and v-split hem detailing gives you an added touch of style and wearability, finished with a concealed button placket to give a clean finish when fastened. 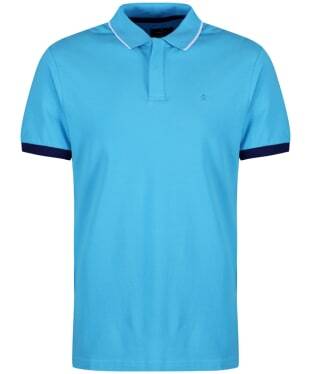 This polo features Hackett branding to the chest to give the mark of style and quality craftsmanship.